Rutger Mohr is Partner and Managing Director at Boston Consulting Group. He is a core group member of the Energy practice area and a member of the Industrial Goods, Organisation and Operations practice areas. Before joining BCG he worked for 11 years for the Royal Dutch/Shell Group in the Netherlands, Australia and Morocco. 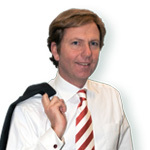 Rutger has a degree in Business Administration from the University of Groningen.